Kelly has been with the company since 1997, Industrial Properties was created by Kelly in 2007, when the company asked him to run the Industrial Division. 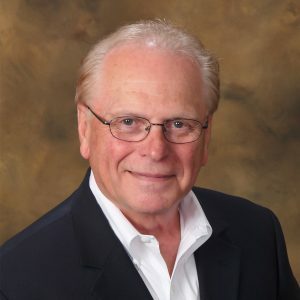 He has been in the Commercial Real Estate business for over 45 years selling and leasing properties in the 11 western states, earning many Top Producer awards. Kelly works with major companies throughout the United States, providing a diverse range of buyers, sellers, tenants, investors, developers and speculators to our company. All of the broker’s at the company specialize in a niche within the commercial real estate market in order to better serve our clients. Kelly is the specialist in all phases of Industrial properties with a vast experience in sales, leasing, development and condominiums. Due to his growing business, Kelly has developed an “Industrial Team” that consists of his assistant (and wife), Julie Shea and a highly qualified office staff. His direction is to attract businesses in need of employees to the Northwest and in turn furnish these companies with quality locations to conduct their Business. Kelly’s vision is to help businesses and manufacturing companies from moving to foreign countries by supplying locations that better fit their needs here in the Northwest. Sold industrial bldg. to Dental Lab in Vancouver, WA. Leased 6,625 SqFt industrial space in to Dish Network in Vancouver, WA. Sold 2.82 acre property to Big Al’s Moving in Ridgefield, WA. Sold Mini Storage in Tillamook, WA. Sold Mini Storage in Saint Helens, OR. Sold Commercial Complex in Kennewick, WA. Sold 60 acre commercial land in Castle Rock, WA. Sold 15,000 SqFt industrial bldg. in Vancouver, Wa. Sold 6 acre industrial land to National Car Company in Vancouver, WA. Leased 4,100 SqFt industrial space to Fastenal Co. in Vancouver, WA. Sold industrial bldg. in Goldendale, WA. Sold industrial bldg. to National Manufacturing in Woodland, WA.